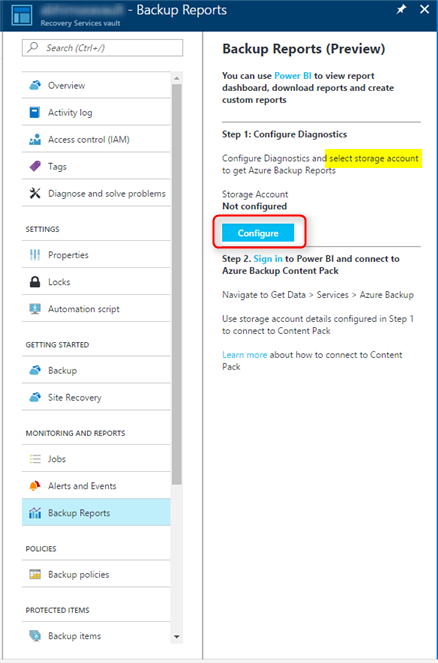 Azure Backup Central Reporting – Pay Attention MS Partners! 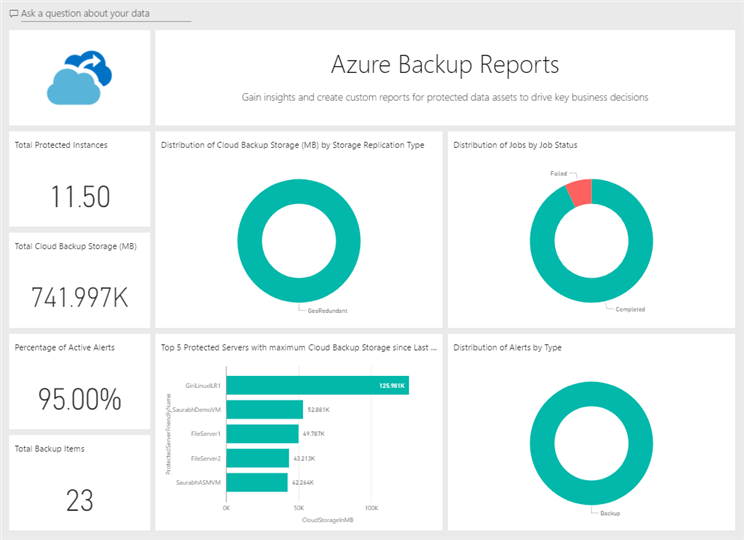 Microsoft has launched a preview of Azure Backup Reporting; this is a solution where you can export backup data to Power BI, and this allows you to consume, visualize, and subscribe to information about backup from many recovery services vaults in many subscriptions. The way the system works is that you configure the recovery services vault to export data regularly to a storage account (must be in the same tenant as the recovery services vault). You then sign into Power BI (a free subscription can be used but this is limited to 1 GB of data) and import the Azure Backup content pack. Data is exported as JSON files into a folder (container) in the storage account, and Power BI will consume/process that data. 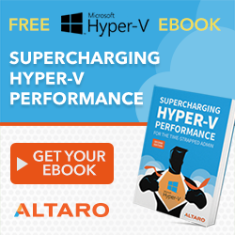 The timing of this varies on the data, but Microsoft advises that it can take 24 hours for your first data sets to be consumed. While the solution is not perfect yet (read more and vote here) it can be used today. Note that DPM, MABS, and Azure VM backup are not supported yet by the preview. I have set up 3 demo subscriptions (each in a different tenant as is normal for deployments by MS partners), each with a MARS backup job. I imported the Azure Backup content pack 3 times, 1 for each tenant. I made a custom report for each subscription and pinned them to a single dashboard. Now I can see the results of each and every backup job in one screen. I can also create daily/weekly email subscriptions to each report – that means I can send out these reports to my customers! I can also publish the reports either to a web site or a private SharePoint (including Online) site – here’s an example that I did for work. 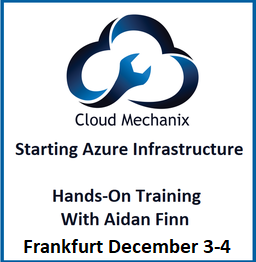 The end result is that we finally have a centralized reporting solution for Azure Backup. With one quick scroll, I can easily see the health of all of my customers’ backups.